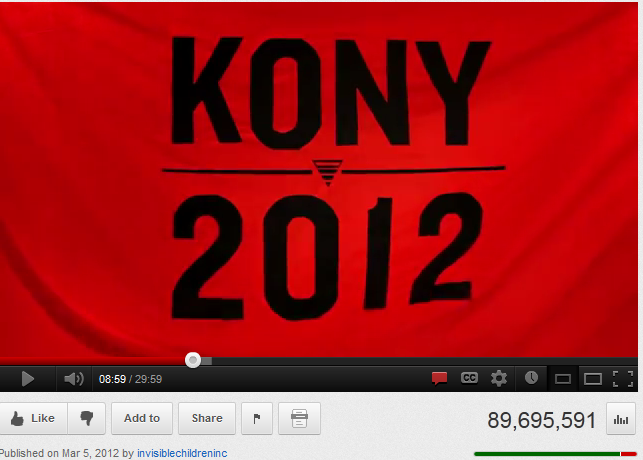 The viral Kony 2012 video makes evident the dangerous slippage between justice and peace. The short film is just a recent example of the tendency to treat justice (popularly seen as the law) and peace (seen as political) as mutually exclusive. Unfortunately, this justice-peace binary, and discourses that perpetuate it, obfuscate some of the issues at the core of the violence on the African continent. Justice becomes reduced to law, while peace loses any justice-producing qualities. The famous adage, “We ask for justice, you give us law” speaks to part of the problem – to the assumption that the search for “justice” is fundamentally about the search for law. There is another part to the problem. Actions that some might see as “justice-producing” – diplomacy, peace negotiations, economic redistribution strategies, forgiveness rituals – fall outside of the realm of “justice,” because others say these actions lack the “teeth” of legal accountability. Those who focus on international criminal adjudication as justice have assumed that violence in certain places in Africa can be managed as a legal problem alone, rather than the larger structural problem that it is. Related to this is the legal doctrine of command responsibility, which serves to assign guilt to a chief commander and a few top aides. Its power is as much legal as symbolic – it flags that impunity is at an end, that we are watching. The problem is that in most violence-based contexts on the continent, where there are struggles over the management of resources or where violence is used to regulate civilian behavior, reassigning the guilt of thousands of people to a single chief commander does not accurately attend to the core problems involved in the making of war, let alone produce the conditions for a violence-free future. 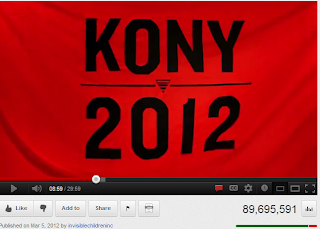 Kony 2012, in its very title, makes just that reassignment. Inspired by the travels of Jason Russell, Kony 2012 narrates Uganda’s 25-year-old war, its violence, and the consequential death and displacement of millions of Ugandans. Drawing a direct link to Joseph Kony (prior IntLawGrrls posts), the film demands that Kony be held accountable for all of the violence committed by the Lord’s Resistance Army that he leads. He then discloses that his commitment was inspired by a promise he made to Jacob, a young Ugandan boy whose brother was killed by Kony’s men. The story, then, is about how American political participation, and stopping a single leader, will rectify Uganda’s plight. Russell’s savior complex is catapulted with the message that by donating money through a simple click of your mouse, and buying a kit that will help fund Kony’s arrest, every American can also be part of the solution to help poor Ugandan victims. The simplicity of the message is compelling, and suggests that Africa can be transformed by our philanthropy. The sad reality is that Kony 2012 is one of a series of ultimately flawed philanthropic and humanitarian gestures which claim that capturing a single commander will solve Africa’s problems, and that justice equals law. Compare Kony 2012’s message to that of the individualization of criminal responsibility seen in the new wave of international criminal justice. The same narrative inheres: that juridical action focused on a few commanders and top-ranking leaders will end impunity. Re-engaging the political involves uncovering root causes at the core of violence itself. It returns us to the reality that solving Africa’s problems must involve African participation. Re-engaging the political must include a deliberative process and necessary rebuilding of institutions, and its laws must emerge out of a process that Ugandans see as politically legitimate. An example of the perceived distinctions between peace and justice, especially as they relate to larger questions of criminal responsibility, may be found in aspects of the situation in Uganda. The ICC’s involvement in Uganda began in July 2003, when the Office of the Prosecutor identified Uganda as a situation of concern. At that point, prosecutors began examining the situation in Uganda with greater scrutiny. These talks resulted in a geographically bounded 7-day ceasefire between the LRA and the Ugandan forces. The ceasefire was renewed continuously in anticipation of a final agreement at year’s end, as Lucy Hovil (left) (prior IntLawGrrls post), Senior Researcher at the International Refugee Rights Initiative, described in her 2011 paper entitled A poisoned chalice: Local civil society and the International Criminal Court’s engagement in Uganda. But in December 2003, Ugandan President Yoweri Museveni decided to refer the LRA-Uganda situation to the ICC. By January 2004, the peace agreement had been disrupted, and renewed hostilities erupted in the region. Bigombe continued her negotiation attempts, and with the support of a February 4, 2005, ceasefire declaration by Museveni, peace was sustained for 18 days. LRA attacks followed this period. The situation was further complicated when, on July 8 of that year, the ICC issued sealed warrants to arrest 5 senior members of the LRA, including Kony. The arrest warrants were unsealed on October 13. 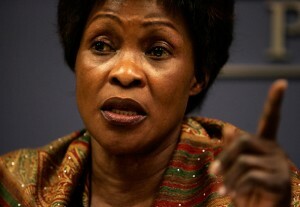 The timing was unfortunate, since Bigombe and other parties were in the midst of peace-talks with the LRA. And the ICC action was perceived as curtailing that process. The ICC was condemned by large numbers of Ugandans and human rights groups. ► To large numbers of the people of northern Uganda, justice was connected to any forum through which they could return home in safety and, from there, foster the growth of new forms of trust that could form the basis for sustainable peace. ► But from the perspective of the ICC, the primary image of justice was that of Kony and his other 4 commanders being found, extradited, and brought to trial. The former emphasized the need to address structural injustice, while the latter placed an emphasis on individualized criminal responsibility as the basis for adjudication, and thus justice. One grouping, those in Uganda, was living under conditions of bare life, while the other represented conditions of privilege and judicial aspirations for ending violence. There was a huge divide between these 2 social locations. While the prosecution of Kony might have been a critical component of the justice process, many Ugandans thought it should not happen at the expense of the victims (many of whom had become refugees) who wanted to return home and rebuild their lives. These differences highlight the extent to which tackling the atrocious fallout from the war was being driven by conflicting conceptions of priorities.